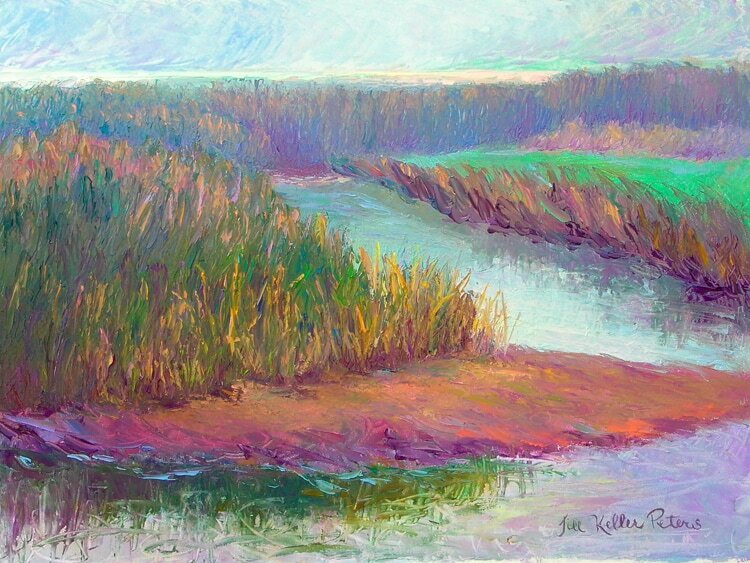 Estero in Carmel, Oil on panel, 9" x 12"
This is a break-through painting for me. The steely blue-greens were a trick to mix and successfully pull off the effect of the overcast, misty atmosphere of the morning. ​​Please contact the artist with questions or to arrange for purchase. Love the Art? Get the Art Studio letter! A once a month email where I post thoughts on creating art, sneak peeks at paintings in process and exclusive online offers.